It's fair to say Vincent Turner aka Frankmusik's career hasn't quite gone to plan. His musical resumé includes production credits on Ellie Goulding's Lights and Erasure's 2011 album 'Tomorrow's World'; as a solo artist he's released dozens of remixes, plus his 2009 electro-pop album 'Complete Me'. Yet last year saw him parting ways with his record label, Island Records, likely due to the poor sales of the album and his descent into dreadful collaborations with the likes of Far East Movement (Do It In The AM). But now he's back and seemingly on top of his game, releasing his music independently. This inevitably allows for creative freedom, leading to Turner writing, in his own words, "the best work I've ever done" in which he pushed himself "to make it sound as inventive and as dynamic as [he] could". This latest EP, fittingly titled 'Far From Over', is the fruit of his labour. Unfortunately, despite his own optimism, this is neither Turner's best work, nor inventive. Opening track Captain is the main highlight: all neon synths and funk rhythms, it's very typical of Turner's style, though his pronunciation of "Cap-it-urn" is incredibly grating. Map is obviously directed at his former label - "I never wanna find my way back" - and is a declaration of his moving on. Musically, however, this is the same old Frankmusik, sadly reverting to a generic Europop beat in the chorus. The fizzing production of Thank You is technically proficient but, as with final track The Line, the songwriting lacks the catchy hooks Turner is capable of. The annoying spoken vocals in the latter track is yet another dig at his former label - subtlety really isn't in his vocabulary. 'Complete Me' is an under-appreciated pop gem, featuring the likes of In Step, When You're Around and the excellent 3 Little Words. Sadly, 'Far From Over' is far from Turner's best work and far from being in step with his contemporaries. 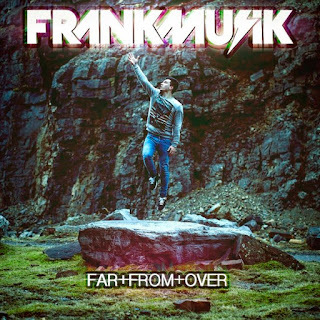 Listen: 'Far From Over' is available for free on Frankmusik's website.